What is the DANUBIS.org Water Platform? 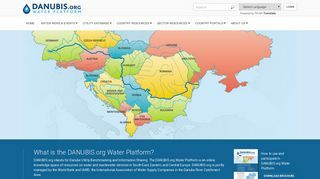 DANUBIS.org stands for Danube Utility Benchmarking and Information Sharing. The DANUBIS.org Water Platform is an online knowledge space of resources on water and wastewater services in South-East, Eastern, and Central Europe. 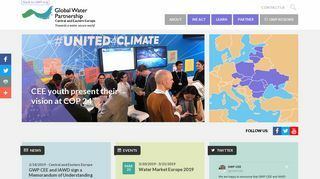 DANUBIS.org is jointly managed by the World Bank and IAWD, the International Association of Water Supply Companies in the Danube River Catchment Area. Utility company “ Voda Donbassa” was established in 1930. The company's assets and offices are located both in Ukrainian Government-controlled territory as well as in non-Government controlled territory. The video provides an overview of the company including the challenges the utility as facing in their operations in the eastern part of Ukraine. UNDP has been one of the most active and successful actors in the field of and environmental issues both in Kosovo and the region. We are engaged, among others, in supporting public institutions to improve environmental data gathering and reporting such as with the Kosovo Hydrometeorology Institute and Kosovo Environmental Protection Agency. UNDP Kosovo worked with the Ministry of Environment and Spatial Planning (MESP) in establishing a solid legal and institutional framework for environmental policymaking in Kosovo, environmental protection, and in addressing the climate change challenges. With regards to environmental data, the Kosovo Environment Protection Agency (KEPA) were trained in the Green House Gas (GHG) monitoring and reporting procedures as required by Kyoto Protocol and EU/EC standards. Additionally, the second Kosovo-wide Greenhouse Gas (GHG) Inventory for 2010-2013 was conducted feeding into the climate policy making. Over the last years, air pollution has gained increased relevance on the global health agenda. It is the biggest environmental risk to health, responsible for the premature deaths of 6.5 million people every year globally. Children, elderly people and those with pre-existing health conditions are the most vulnerable. Economic burden from air pollution in general sums up annually to about US$ 1.6 trillion in the European Region, which is approximately 10% of the GDP of the European Union . Kosovo is no exception for this trend. Environmental conditions in Kosovo are often inadequate and lead to a high environmental burden of disease as documented in several studies.Environment and health issues are overlapping with many sectors (such as health, environmental, urban planning, transport, economy, energy, housing, social services) and can be affected by many actions and decisions within these sectors that are not considered primarily from health perspective. As a convener of different stakeholders, the UN system has a convening role in this complex and intersectoral issue.Public interest in the environment and health status has increased in the recent years. Nevertheless, there is still a lack of public awareness on many major environmental hazards. Surveys in the Kosovo population indicate that for general priorities, environmental protection ranked low. The project’s overall goal is to contribute to the reduction of the environment-related disease burden on population health and catalyze follow-up activities. 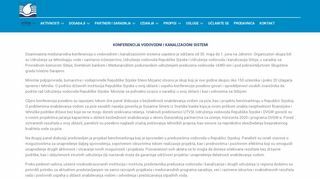 In doing so, the project will contribute to the achievement of the Sustainable Development Goals in Kosovo, specifically: Ensure Healthy Lives and Promote Well-being for All Ages (SDG 3); Achieving Affordable and Clean Energy (SDG 7); Decent Work and Economic Growth (SDG 8); Sustainable Cities and Communities (SDG 11); and Climate Action (SDG 13).The Ministry of Environment and Spatial Planning is currently designing, implementing and managing various initiatives in all its departments and divisions. 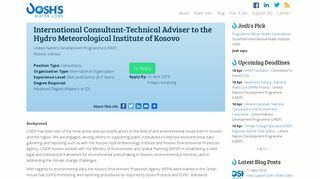 In our case technical expertise is required from Hydrometeorology Institute of Kosovo, on capacity building of its staff at the air pollution department on standard operating method for determination of BTX in the air, as per EN 14662: 2005 and 16017: 2003. Ukraine has a long list of environmental reform priorities. However, the speed of the reforms in the area of sustainable energy and environment (SEE) is slowed down by the difficulties in adopting the needed legislation related to the capacity of the Parliament and a large number of low-quality legal initiatives. The recent legislation breakthroughs and the existing leadership in the Government and Parliament in this area could be jeopardized by the anticipated 2019 elections. To speed up the sustainable energy and environment (SEE) related reforms and ensure representation of the SEE issues in the programmes of the next President and the next Parliament, UNDP seeks to improve the capacity of the Parliament of Ukraine and enhance environmental advocacy among politicians, mass media and the public. The Project aims to support the Parliament members and the relevant Parliament Committees (specifically, on Environmental Policy, Nature Resources Utilization and Elimination of the Consequences of Chornobyl Catastrophe and on Fuel and Energy Complex, Nuclear Policy and Nuclear Safety) with quality analytical support on the legislation making, organizing stakeholders’ consultations, round tables, development of communication products, and engagement of various stakeholders into the SEE issues. The analytical support envisioned by the Project will cover a wide range of issues in SEE area, including but not limited to: climate change mitigation and adaption; energy efficiency; waste management; natural resources management; environmental pollution, etc. A special attention will be made on mitigating negative environmental consequences of the ongoing military conflict in the east of Ukraine, as well as to the greening of the development path of the Donetsk and Luhansk regions. The overall work of the Secretariat will be based on the sustainable development principles and where possible and necessary will link with Sustainable Development Goals (SDGs). To ensure the implementation of the Project and day-to-day advisory support to the Parliament on SEE policy UNDP is seeking to hire a National Consultant to provide analytical and expert support to the Parliamentary Committee on Environmental Policy, Nature Resources Utilization and Elimination of the Consequences of Chornobyl Catastrophe, its members and staff on the issues of environment and sustainable development. With the SDC support, this programme offers young entrepreneurs from low and middle income countries a support package that includes training, mentorship and seed funding opportunities to turn their water/sanitation initiative in a social business. The successful 2017 and 2018 editions have empowered already 19 entrepreneurs, distributed more than €84,000 in seed funding and benefited 15,000 people through their pilot projects. 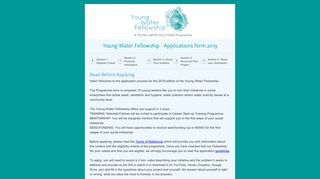 For its YWF 2019 Young Water Solutions will offer 10 young people (‘’Fellows’’) the possibility to participate in a one-month start-up training in Europe (delivered by our partner cewas). Fellows will also be assigned mentors, get the chance to exponentially increase their supporting networks in the water and entrepreneurship sectors, and apply for seed-funding for the first steps of implementation of their social enterprises. As we prioritize young people from disadvantaged contexts with great ideas but little access to resources, we need to double our communication efforts to make sure this call reaches as many young people and local youth groups as possible. Please find attached short communication guidelines with links to download different communication materials in English, French and Spanish and examples of emails and posts for social media. The objective of the DANUBIS.org breakfast to be held in the frame of the 2018 Danube Water Conference is to present the latest updates of the DANUBIS.org water platform including its various applications and uses and encourage a discussion among all participants on their views to make the best use of DANUBIS.org and/or propose improvements. IAWD and World Bank organized a breakfast on the Danubis.org water platform, which was attended by donor agency representatives, regulatory agencies, waterworks associations and individual utilities to jointly brainstorm around how to promote and enhance the use of this rich tool, with great potential to promote WSS sector agenda and unique analytical tools by utilities and other stakeholders in the Danube region. Please find the Minutes of the DANUBIS.org Steering Group Meeting on 24 April 2017 attached. Marin, Philippe; Ionita, Gabriel; Buteica, Alexandru Cosmin; Niculescu, Cesar; Smets, Susanna; Lopez, Patricia; Dikov, Orlin M.
This diagnostic report was prepared by the World Bank to support its water sector dialogue with the Government of Romania. It aims to provide stakeholders, especially from the Romanian Government and the European Commission, with a comprehensive stock-taking of the situation in the Romanian water sector in 2017, 10 years after the country joined the EU. The report documents the current situation, discusses the main lessons learned from reforms in water resources management, water supply sanitation and irrigation, and identifies the key water challenges faced by Romania. While not pretending to cover all possible water-related issues (due inter alia to limited access to some information), it seeks to identify the key policy issues and indicate what steps the government could consider in the near future. The situation in the water sector in Romania is analyzed through the lens of water security, with a focus on compliance with EU water legislation and the inclusion of the poor. Water security is a broad concept that encompasses ensuring sustainable use of water resources, delivering affordable services to all, and mitigating water-related risks in a context of change — the goal being to build a water secure future for the people, the economy and the environment in a context of global changes. In the case of Romania, the over-arching concept of water security is closely linked to compliance and inclusion. This publication is the executive summary of the “Romania Water Diagnostic Report,” prepared by the World Bank to support its water sector dialogue with the Government of Romania. The full report aims to provide stakeholders, especially from the Romanian Government and the European Commission, with a comprehensive stock-taking of the situation in the Romanian water sector in 2017, 10 years after the country joined the EU. The report documents the current situation, discusses the main lessons learned from reforms in water resources management, water supply sanitation and irrigation, and identifies the key water challenges faced by Romania. While not pretending to cover all possible water-related issues (due inter alia to limited access to some information), it seeks to identify the key policy issues and indicate what steps the government could consider in the near future. The situation in the water sector in Romania is analyzed through the lens of water security, with a focus on compliance with EU water legislation and the inclusion of the poor. Water security is a broad concept that encompasses ensuring sustainable use of water resources, delivering affordable services to all, and mitigating water-related risks in a context of change—the goal being to build a water secure future for the people, the economy and the environment in a context of global changes. In the case of Romania, the over-arching concept of water security is closely linked to compliance and inclusion. In 2015, UN member states adoptedthe 2030 Agenda for SustainableDevelopment and itsSustainable Development Goalsand implementation principles,which represent the vision forthe world that we should strive tobecome by 2030. These 17 goalswith 169 targets cover a wide arrayof sectoral policies. Local andregional governments played animportant role in influencing thedefinition of the SDGs, successfullycampaigning for a stand-alonegoal on Sustainable Cities and HumanSettlements (SDG 11), and forinternational recognition of thepivotal role of local and regionalgovernment in sustainable development.As the Sustainable DevelopmentGoals of the 2030 Agenda must beachieved at global, national andsubnational levels, the success ofthis ambitious agenda is dependenton the active involvementof every level of government andof a large variety of stakeholders.Multi-level approaches and multi-stakeholder-partnerships thereforewill be the key factors formaking our common world visionattainable by 2030. The global developmentagenda cannot be confinedto the competence of centralgovernment alone. The frameworkof the Sustainable DevelopmentGoals with its universal definitionof goals and targets has tobe adapted to concrete situationsand specific needs to create actualbenefits for concrete people andtheir living conditions.This process of taking into accountsubnational contexts in theachievement of the 2030 Agenda,is what we understand by “Localizingthe SDGs”. Localization relatesboth to how the SDGs can providea framework for local develop-Foreword5ment policy and to how local andregional governments can supportthe achievement of the SDGsthrough action from the bottomup. We at the Regional Project “SocialRights for Vulnerable Groups”are committed to work with ourpartner municipalities in supportingthem so that the most vulnerablepeople’s living conditionscan be improved. We are convincedthat our partner municipalitiesare the administrative level closestto the local communities and canmake a meaningful difference intheir lives, in a timely manner andflexibly reacting to emerging andfast changing needs.In this respect the capacities ofmunicipal structures to implementthe 2030 Agenda and monitorthe achievement of SDGs onlocal level and the involvementof public, private and civil societyactors are crucial. This Handbookhas been designed to serve exactlythis purpose. To help practitionersat municipal level in improvingtheir knowledge and strengtheningtheir understanding of the relevanceof the 2030 agenda and theSDGs at local level, to raise theircapacities to become promoters ofthe SDGs and to be able to sensitizeother stakeholders. This review of wastewater management in Danube region under EU water policies shows that, despite several challenges, the UWWTD has indeed delivered results for the people and environment in Danube region. The share of wastewater treated according to the UWWTD requirements is showing a major improvement since 2004, demonstrating impact of massive investment efforts undertaken, and resulting in significant emission reduction in the recent past. This has resulted in a noticeable water quality improvement over the last 20 years for both organic pollutants and nutrients. At the same time, the review points out to several challenges. Implementation capacity is often neglected and insufficiently prepared. The necessary tariff increases, a consequence of investment in new infrastructure and related O&M cost increases, trigger affordability issues for the bottom 40 percent of population. A lack of the necessary sectoral institutional reforms, has resulted in lower than planned absorption of available funds and delays in UWWTD compliance. These challenges also represent opportunities in the implementation of the current Directive within and beyond the Member States, and its potential review. The current implementation of the Directive could be made more efficient using sound economic appraisal to prioritize investments according to their cost-effectiveness while maintaining public health and environmental benefits and achievement of WFD objectives. Under the activity analytical and advisory work of the World Bank / IAWD Danube Water Program, the Umweltbundesamt (Environment Agency Austria) was entrusted in March 2017 with the execution of this study. It aims to assess the results of UWWTD implementation in the Danube Region, taking into account environmental, economic, sustainability and affordability aspects, in order to derive key conclusions and recommendations. Target countries were the following eight EU Member Countries of the Danube: Austria, Bulgaria, Croatia, Czech Republic, Hungary, Romania, Slovakia and Slovenia. 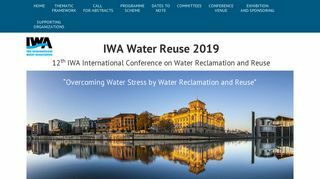 The specific objective of this study was to assess the key challenges and actions that countries in the Danube basin can use for wastewater management. This document includes the annexes to the main report, which is uploaded separately.